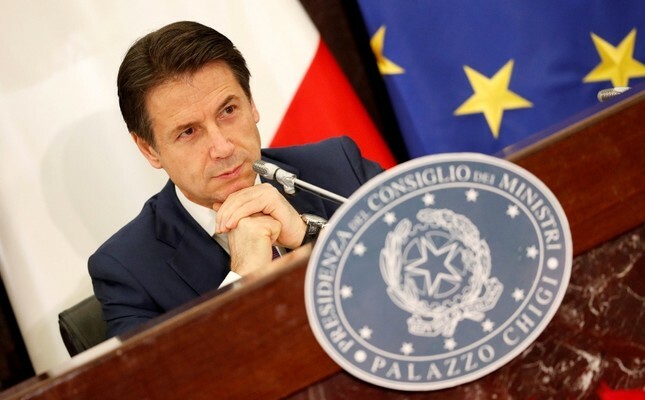 Italian Prime Minister Giuseppe Conte said on Friday his government was in favor of halting arms sales to Saudi Arabia and it intended to take a formal position on the matter. "We are not in favor of the sale of these weapons and so now it is only a question of formalizing this position and acting accordingly," Conte told reporters at the prime minister's traditional end-year news conference. He was answering a question on Italy's ongoing arms exports to Saudi Arabia in the light of its involvement in the murder of journalist Jamal Kashoggi and the conflict in Yemen, which has left 14 million people facing starvation, according to the U.N. Earlier, Denmark, Finland, Germany and Norway decided to halt arms sales to Saudi Arabia for the time being over the killing and Yemen. Canada's Prime Minister Justin Trudeau said his government was looking for a way out of an $11.5-billion arms deal with Saudi Arabia. Khashoggi, who wrote for The Washington Post and had been critical of Prince Mohammed, was lured to the Saudi consulate in Istanbul on October 2, killed and reportedly dismembered. After lengthy denials, Saudi authorities admitted responsibility and said 21 people had been taken into custody. However, a CIA analysis leaked to the U.S. media went further, reportedly pointing the finger at Crown Prince Mohammed bin Salman.